As companies grow, the culture they initially worked so hard to create can begin to unravel — especially if that growth stretches across multiple offices. Many of the following companies that have more than one office continue to maintain engaged employees with quirky traditions because they made it a point to prioritize culture early on. See how they’ve been able to keep structure amidst remarkable growth. Machine intelligence platform CB Insights is planning on introducing remote teams in the near future, meaning culture across offices and locations will take center stage. Director of Engineering Kanish Patel explained the company’s culture today and how it may evolve. What’s the defining quality of your company culture today? Our self evaluation and ability to iterate defines our culture. All over the company, teams are constantly reevaluating their approach to problems and changing things in order to improve. In engineering, this manifests itself in our current drive to standardize how we work across teams and to define what our best practices are as a department. What are some steps you’re taking to stay true to that as you grow? As we grow as an engineering organization, our codebase grows with it. As the code expands, it becomes harder to make broad changes because of the sheer volume of code that needs to be upgraded. Over the last two years, we have standardized much of our practices from local development, to deployment to logging across all of our projects. After every project, we hold retrospectives to see which processes and systems could be improved. If your company has multiple offices, how do you keep the culture consistent across all locations? We just have one office, but we are planning to stand up remote teams in the near future. Culture is an important consideration as we do that. The goal is to not just preserve the culture, but also to evolve it and embrace the remote way of working. The existing culture at CB Insights centers around the 4Hs: humble, helpful, hungry and happy, and these will stay as the foundation even as it evolves. The Conductor team is engaged, helpful and genuine — at least that’s how Engineering Manager and Technical Lead Danielle Cooley described the culture. 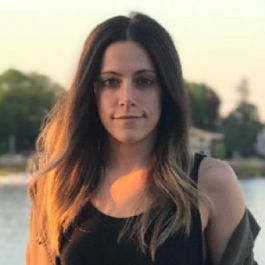 As someone who’s been at the company for five years, she’s been able to watch the team grow into the robust marketing tech platform that it is today. She told us more about what it’s like behind the scenes. The culture at Conductor is defined by the people that work here and earnest communication. I collaborate with so many smart and passionate people who really care about our product and helping our customers. Any company can organize fun events and give out free swag, which we always do — recent events have included paint nights and mixology classes — but Conductor goes beyond that. It's always so great to see how many people show up, participate and actually want to hang out with each other. Our executives are completely transparent and regularly share updates about our successes and failures. The end result is that we're constantly pushing each other to grow and push our limits. Staying true to our values while we expand is a huge priority for us. One thing that keeps this culture alive as we grow is simply top-level advocacy. Our CEO is the biggest proponent of earnest communication, and therefore it's encouraged from our executive team and down through our organization. As the team grows and more leaders join, they are exposed to it and adopt it. Watching the company grow over the past few years has been really exciting. Hiring talented, innovative and genuine people has really helped our culture persist as Conductor continues to evolve. While Conductor’s headquarters are based here in NYC, we have multiple locations globally including San Francisco, London and Kiev. We aim to keep a similar look and feel in each office. This helps everyone feel at home when working from different locations. We work hard to ensure that we have a constant line of communication using tools like Slack and Zoom. Fun Slack channels, like #dogsofconductor and #conductorlife, entertain people from all offices as well. We recently held a hackathon week where all Conductors, regardless of time zone, participated. I’m super impressed with all of the projects that came out of it as well as the collaboration across departments and locations. Fraud prevention company Riskified is headquartered in NYC with a large office in Tel Aviv. VP of Account Management Nadav Lobel explained that as the company continues to expand — they’re hiring for more than 150 positions — they make culture a top priority even in the recruiting process. Riskified is serious about transparency from the top down, and this theme shapes our company culture. For us, transparency means that everyone has visibility into what other teams are working on, how the company is growing and how we're achieving our financial goals. This transparency lets each individual see exactly how they're contributing to Riskified's success, creates a high level of collaboration and accountability, and promotes openness to feedback. We also throw an excellent happy hour every Friday, and we take that pretty seriously, too. We extend our emphasis on transparency to our recruiting process. We make it clear to prospective employees how much we value it, and we look for people who are open, honest and energized by the idea of working for an employer who puts that first. We're hiring over 150 employees this year, so maintaining our culture as we scale is very important, and we emphasize cultural fit during recruiting. In interviews, for example, we'll not only discuss work experience and brainstorm case studies, but we’ll also demo receiving feedback and carefully evaluate their work and managerial styles. We want to make sure there's a mutual fit for the candidate and the company. We’ve made it a priority to let each office reflect its local culture while making sure the core Riskified values are reflected in both locations. A big part of that is keeping those offices and teams connected to feel like one cohesive company. Nearly every team has a presence in both offices, so people have a chance to work closely across departments and get to know one another. We are on video calls across offices daily, hold regular company meetings where all teams have the chance to present, and have a healthy amount of travel between offices. Review platform Trustpilot has offices in three continents with over 40 nationalities represented. Despite their size and growth, they’ve been able to maintain a welcoming culture where everyone knows each other’s names. Recruiter Katie McDonald explained more. What's the defining quality of your company culture today? Trustpilot's culture is one of the main reasons why I decided to accept my offer. There is such an emphasis on collaboration and growth. People of all levels and from all different teams really make an effort to get to know you and help you be successful each day. During my final interview, I was briefly introduced to Peter Mühlmann, our founder and CEO based in Denmark. Several weeks later, after I had started and he was visiting the office, he recognized me and welcomed me to the team. It's these types of people and stories that make Trustpilot so special! What are some steps you're taking to stay true to that as you grow? As we continue to scale Trustpilot USA, we are always looking to continue to make our culture even better. One of the ways we are doing that is by providing more opportunities for people to connect within the office. For example, this January, we launched Trustpilot Women in Leadership (TWIL), a group that helps foster strong leadership at Trustpilot by identifying, empowering and equipping high-performing women to move into leadership positions through various initiatives. There's a lot of cross-collaboration across the different offices, so this is one of the ways we stay connected and keep our culture consistent. Additionally, all of our offices are built in a way that people can work hard, but also relax when they need to. There are places to play ping pong and Foosball, and places to catch up with peers over tea or beer.